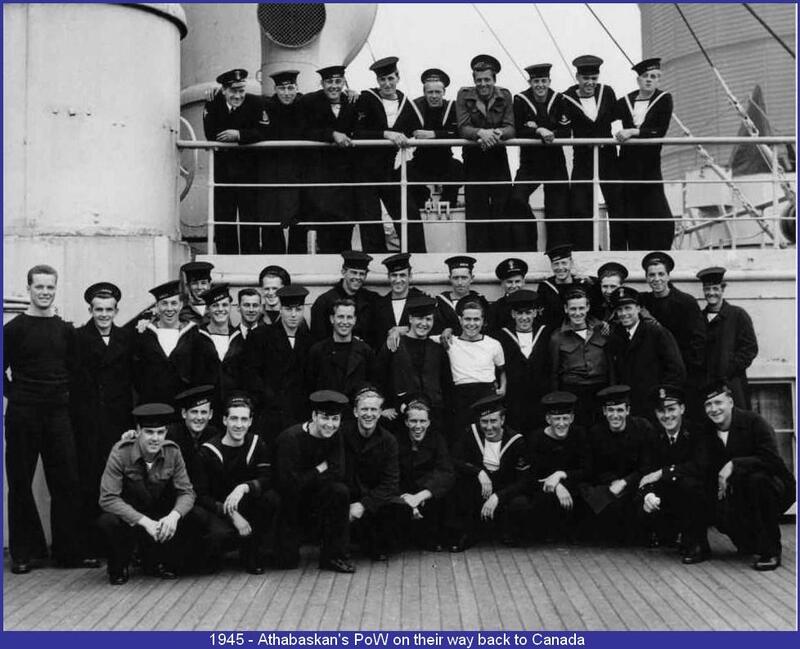 In the evening of April 28th, 1944 HMCS Athabaskan, Lt Cdr John Stubbs had sailed from Plymouth in company with HMCS Haida, Cdr Jack de Wolf, for a night patrol in the western Channel. Both ships were Tribal Class destroyers, powerful, strongly armed and fairly equipped in detection. The purpose of this patrol was to cover a minelaying operation of the 10th Flottilla about 10 nautical miles NE of Ile de Batz (Northern coast of Brittany). Two nights before a warm skarmish had already opposed the Tribals to German destroyers and two of the late had sheltered in St Malo from where they could easily interfere with the minings in process. At 3.00 am, both Canadians were by the way patrolling on a westerly course at 16 knots, 20 miles off Ile de Batz. A first detection of German activity had been recorded at 01:30 and a second one at 02.58 when Plymouth signalled they had two radar echoes NE of Morlaix. Seemingly, those were the German ships creeping out of St Malo and at 03:07 order to alter course to SW in view of interception was given to the Canadian destroyers. The two Germans were those out of St Malo, T-24, Kplt Wilhelm Meentzen and T-27, Kplt Gotzmann, two Elbing Class racing for the safety of Brest. At 04:00 a radar contact was made between Athabaskan-Haida and the Elbings at a range of 14 nautical miles. Both ships then manoeuvered such as to maintain the Germans in a position at 45 degrees ont heir port side and Haida started the action by firing starshell 12 minutes later at a distance of 7300 yards. German destroyers then bearing 115° from Haida responded in altering course, firing each a full salvo of torpedoes and making a smoke screen. The Canadians then made a turn of 30° in order to avoid the coming torpedoes. 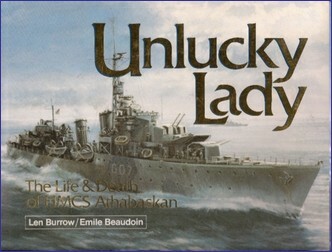 At this moment (04:17), one of them scored a direct hit on Athabaskan that detonated in her gearing room or boiler room just aft of amidships. A raging fire started to illuminate the stricken destroyer that stopped and remained drifting. The damage was severe but not necessarily fatal and Haida while protecting her mate behind smoke started firing against her opponents. Aboard Athabaskan, the deck above where the torpedo had hit and the adjacent deck house had collapsed causing Y mounting to collapse also. The steering gear was wrecked, the after pumps ceased to function and the fire was spreading rapidly aft making the after steering position untenable as well. Steadily she began to settle by the stern. Forward of the ship, preparations were made to have her taken in tow but the damage was so serious that the operation was undertaken and the boats hoisted out. By 04:30 the raging fires reached the after magazine of the twin 4 in. guns above the blast. The result was immediately a tremendous and devastating explosion. 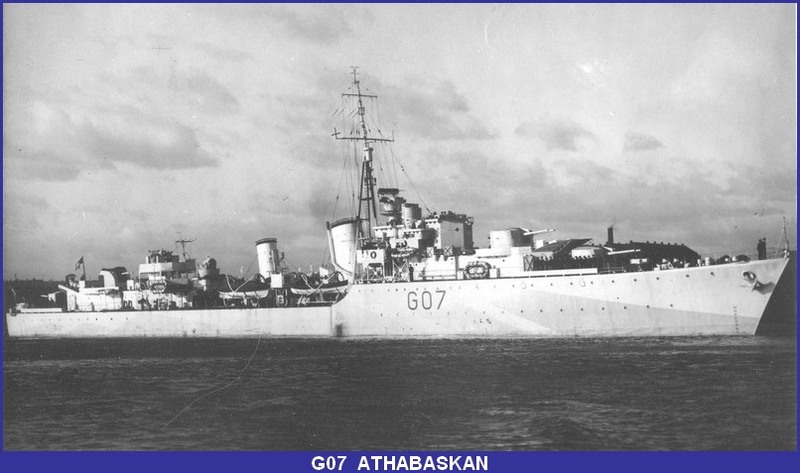 Order to abandon ship was given and the unfortunate Athabaskan finally slipped down at 04:42. Haida and the Germans had vanished into the dark. Haida continued to hammer on the Elbings who soon separated after T-24 had been hit while T-27 still pursued by the Canadians was hit several times before stranding on the coast burning furiously. It was now time to return to her companion who had just gone. 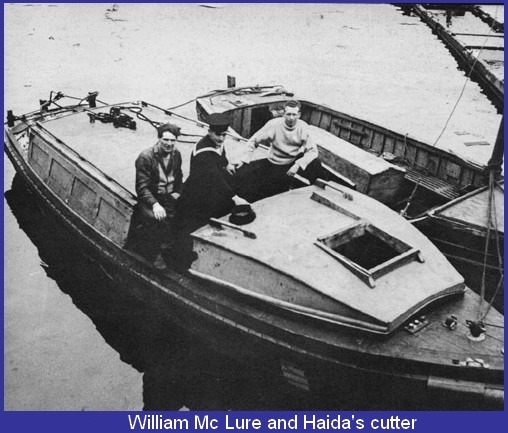 Until 04:50, Haida managed to rescue 42 men including John Stubbs who refused help for his own, arguing that there were too many of his men out in the sea. He was never seen again. As dawn was coming and under the menace of coastal artillery, Haida headed sadly for Plymouth, leaving behind her cutter to help. After daybreak T-24 was back on the spot of the action in company of 2 minesweepers and the German ships could save 68 more men who were made prisonners. In the meantime, the cutter in charge of Leading seaman Mc Lure managed to escape from a pursuing minesweeper and finally reached Penzance with six more men after a 19 hours crossing. From a crew totalling 16 Officers and 245 men, 10 Officers including Lt Cdr John Stubbs and 118 men were lost in this action. Athabaskan's wreck is now lying in 48°42.940N 04°31.485W. A blog by Pierre Lagacé devoted to Athabaskan. Must be seen !